We're happy to annouce that we now have the SMART product range in stock, available to wholesale traders. 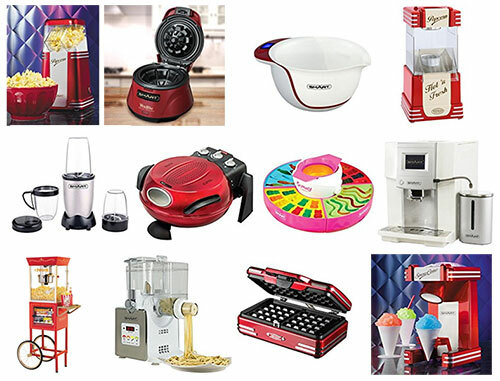 The range features some very interesting products such as retro popcorn makers, waffle makers, healthy scales, gummy candy makers, multi-purpose blenders, pizza ovens, coffee makers, snow cone makers and pasta makers. This exclusive range of kitchen electrical appliances are highly sought after so we're pleased to have these types of products available to our customers. Please contact us for more information.